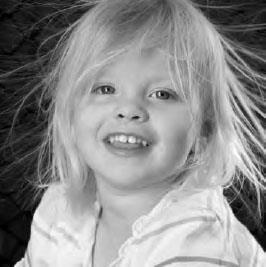 What can you discover about static electricity? How about exploring the basic ideas of electrostatics? All you’ll need is a roll of cellophane tape. Any brand will do—the cheaper the better. Pull off a strip about 5 inches long, then fold over about 1/4 inch at one end to serve as a handle. Press the tape on your desk or a table. Mark the strip with the letter “B.” Make a second identical tape and press it down next to the first. Holding the two tapes by their handles, quickly pull them off your desk. They’ll probably be attracted to your hands, so shake them until they hang free. Then bring them closer together. What do you see? You should see them bending, evidence that there is a force between them. If they don’t bend, stick them on the desk again and again pull them off. Do they provide evidence that there is an attractive or repulsive force between them? We’ll say that pulling them off the table caused them to be “charged,” although we have no evidence with what they are “charged.” They were obviously charged in the same way, so we can conclude that objects with like charges repel each other. By the way, we’ll work toward an explanation why they’re attracted to your hands. Press the two strips back on your desk. Now make two more strips the same length and press them on top of the first two strips. Mark these strips “T” to identify them as the top tapes, as opposed to the “B” or bottom tapes. Slowly pull the T B pair of tapes off the desk together. If they are attracted to your hand then use the other hand to gently pat both sides of them over their entire length. That should remove any residual charge from the pair of tapes. If not, pat them down again. You have a pair of objects with no charge. Holding the two handles of the pair rapidly pull them apart. Again, if they are attracted to your hands, shake them until they hang freely. Bring them closer together. Is there evidence of a force between them? Is it attractive or repulsive? You started with a pair of objects with no charge. Pulling them apart caused them to be charged, but not in the same way, because they didn’t repel each other, but attracted. Thus you can conclude that they must be charged differently, and objects with different charges attract. To keep your charged tapes you can hang them from the edge of your desk or a desk light. Make a second T B pair and see if the two T (top) tapes are charged alike or differently. If the tapes stop interacting you can repeat the charging procedure as often as you like. Hang a T and a B tape so you can bring objects near them to see if there are forces between them. Make a list of the objects you tried and whether they attracted or repelled the T tape and the B tape. Try your finger. Then try rubbing a plastic pen on a piece of wool. Try plastic rubbed by silk or polyester. Try glass and metal. Do some objects attract both tapes? Repel both tapes? Attract one and repel the other? If they do the latter, you can characterize them as being charged like the T tape or like the B tape. We’ll come back to understand why some objects can attract both kinds of charge, but no objects can repel both. Electrostatics—or static electricity—involves the attractive and repulsive forces that result when objects made of two different materials are rubbed together.